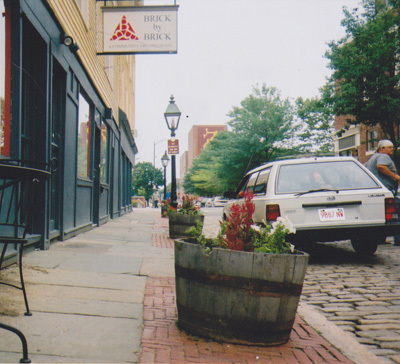 We have been nurturing creative artists, primarily youth, in the publishing, performing and media arts as Brick by Brick: A Community Organization in downtown New Bedford, Massachusetts since 2001. 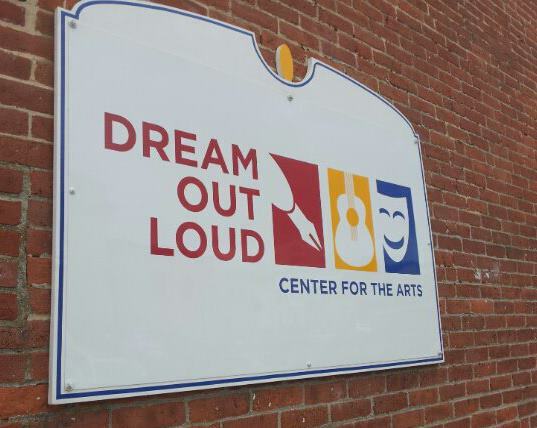 In July of 2011, we changed our name to the Dream Out Loud Center (DOLC) to better reflect the mission of our core program, the Creative Careers Program (the CCP). Tracy Furtado, the first Executive Director of DOLC and published writer/editor, along with Jeffrey Lambert, an accomplished musician and singer formed the CCP for youth when they merged the teen magazine program “The Link” with the music program “Finding the Music Within.” Both saw the need in the South Coast area for an after-school arena for youth that challenged and educated youth who were passionate about the creative arts. Newly formed, Brick by Brick was the perfect organization to give birth to this program. The founder and President of the organization, Lynn Donohue, along with the Board of Directors, endorsed the project, and within months the CCP was born, with a pen, one computer, one guitar and a borrowed keyboard. New Directions SouthCoast, Inc. provided the first funding in the summer of 2001 to get the music program off the ground, and the National Endowment for the Arts Challenge Grant in collaboration with Spinner Publications and Artworks! started the teen magazine program. Quickly after, a three-year $75,000 grant, in collaboration with Child and Family Services, under the name the Schools as Safe Harbors grant, provided the seed funding necessary to build the comprehensive and inclusive program it became. Within the first few months, we were teaching over 200 youth in our music and magazine program at 338 Acushnet Ave in downtown New Bedford. Since those exciting beginnings, the CCP became the main mission of the organization, serving thousands of youth and hundreds of adults through our classes, events and publications. Every instructor, staff member, board member, along with all of our youth, have brought their own talents, skills, dreams and visions to the organization and the CCP. We are very thankful for all of their creative gifts. Today, DOLC, now at One Johnny Cake Hill in downtown New Bedford, remains a haven where youth and adults can join our Creative Careers Classes in creative writing, graphic design, songwriting, instruments, video editing, along with many other class choices. Our creative community center, with a state-of-the-art recording studio and Macintosh computer labs houses our Writing Center and Music Center and continues to be a place of expression, and a place where one can learn the skills necessary, and receive the support necessary, to achieve a creative dream.